Nicky Alan Pyschic Medium doesn’t make money from ads. So we don’t collect data in order to advertise to you. The tracking we do at Nicky Alan Pyschic Medium is to make our product work as well as possible. 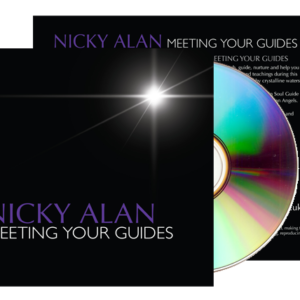 In order to give you the best possible experience using Nicky Alan Pyschic Medium, we collect information from your interactions with our network. Some of this information, you actively tell us (such as your email address, which we use to track your account or communicate with you). Other information, we collect based on actions you take while using Nicky Alan Pyschic Medium, such as what pages you access and your interactions with our product features (like highlights, follows, and applause). This information includes records of those interactions, your Internet Protocol address, information about your device (such as device or browser type), and referral information. When you create your account, and authenticate with a third-party service (like Twitter, Facebook or Google) we may collect, store, and periodically update information associated with that third-party account, such as your lists of friends or followers. We will never publish through your third-party account without your permission. Nicky Alan Pyschic Medium won’t transfer information about you to third parties for the purpose of providing or facilitating third-party advertising to you. We won’t sell information about you. Nicky Alan Pyschic Medium uses third-party vendors and hosting partners, such as Amazon, for hardware, software, networking, storage, and related technology we need to run Nicky Alan Pyschic Medium. We maintain two types of logs: server logs and event logs. By using Nicky Alan Pyschic Medium Services, you authorize Nicky Alan Pyschic Medium to transfer, store, and use your information in the United Kingdom and any other country where we operate. 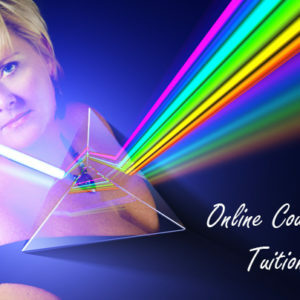 Nicky Alan Pyschic Medium doesn’t track you across the Internet. We track only your interactions within the Nicky Alan Pyschic Medium network (which encompasses Nicky Alan Pyschic Medium.com and custom domains hosted by Nicky Alan Pyschic Medium). If you have a Nicky Alan Pyschic Medium account, you can access, modify or export your personal information, or delete your account here. To protect information from accidental or malicious destruction, we may maintain residual copies for a brief time period. But, if you delete your account, your information and content will be unrecoverable after that time. Nicky Alan Pyschic Medium may preserve and maintain copies of your information when required to do so by law. When your interact with an email sent from Nicky Alan Pyschic Medium (such as opening an email or clicking on a particular link in an email), we may receive information about that interaction. We won’t email you to ask for your password or other account information. If you receive such an email, please send it to us so we can investigate. Nicky Alan Pyschic Medium may periodically update this Policy. We’ll notify you about significant changes to it. The most current version of the policy will always be here and we will archive former versions of the policy here. Nicky Alan Pyschic Medium collects and stores personal information about its users to customize their reading experience and enable personalized distribution of content. It shares minimal data with its service providers. Nicky Alan Pyschic Medium also pursues its legitimate interests by collecting minimal data of logged out users to provide the services, as outlined above. Where Nicky Alan Pyschic Medium collects and stores personal data about non-users, it does so under performance of contract obligations with users who use the services to publish content on web sites hosted by Nicky Alan Pyschic Medium. In such cases, users authoring such content containing personal data of third parties are responsible for that content. Nicky Alan Pyschic Medium will consider related complaints in compliance with the General Data Protection Regulation’s rights of the data subject, as well as rights of expression and access to information. Nicky Alan Pyschic Medium provides Services in conjunction with several payment processors, including: Stripe, Paypal, Google Play, and Apple Pay, through which users may pay for Nicky Alan Pyschic Medium memberships or receive payment based on participation in our Partner program. Those companies acting as payment processors may collect and store personal data related to your billing information and history in order to provide their services, and may collect and store personal data and business data to prevent fraud and other abuse. 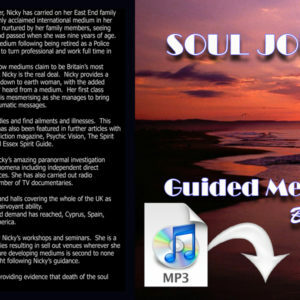 When you delete your Nicky Alan Pyschic Medium account, Nicky Alan Pyschic Medium deletes your personal data as outlined in this document. However, to delete your payment or billing information, you will need to do so with your payment provider, as Nicky Alan Pyschic Medium only has minimal secure access to those records as needed to provide the services. Nicky Alan Pyschic Medium posts may contain third-party embeds, which may in some cases collect and store personal data. The use of personal data by embedded content providers is not covered by this statement, but by the privacy policies of those sites or services. Nicky Alan Pyschic Medium collects and stores personal data about its users to customize reading. This includes automated decision-making to promote content tailored to the preferences and interests indicated by the user, and to their browsing history and network interactions. Nicky Alan Pyschic Medium also filters content for the purposes of fighting and preventing spam, fraud, and other forms of abuse. By creating an account on Nicky Alan Pyschic Medium, users may make certain personal data about themselves public and accessible to others on their profile and through network interactions. This may in some cases constitute special category protected data which is considered manifestly made public by the user. Due to the public nature of information posted to Nicky Alan Pyschic Medium, it may be possible for third parties to derive identifying personal data from posts, whether by reading, inference, supplemental research, or automated extraction and analysis. 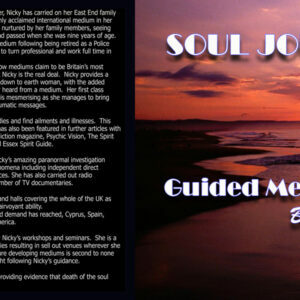 Nicky Alan Pyschic Medium is hosted in the United Kingdom. By using Nicky Alan Nicky Alan Pyschic Medium Services, you authorize Nicky Alan Pyschic Medium to transfer, store, and use your information in the United Kingdom and any other country where we operate. Where your data is disclosed to our processors, it is subject by contract to at least the same level of data protection as that set out in this statement. Nicky Alan Pyschic Medium retains personal data associated with your account for the lifetime of your account. If you would like to delete your personal information, you can delete your account at any time. Deleted account profile pages will yield an error 404 “file not found” page, immediately upon initiating deletion, and will become unrecoverable in our system after a period of fourteen days. It may take several additional days for your personal data to be de-indexed from search engines, depending on those search engines’ practices, over which Nicky Alan Pyschic Medium may have limited or no control. To delete your payment or billing information, you will need to do so with your payment provider, as Nicky Alan Pyschic Medium only has minimal secure access to those records as needed to provide the services. If you sign up for a Nicky Alan Pyschic Medium account, you may at any time request an export of your personal information from the Settings page. You may correct information associated with your account from the Settings page, and the Customize Your Interests page to update your interests. Nicky Alan Pyschic Medium is prevented by law from deleting your information). If your complaint relates to alleged misuse of your personal data by a third party, it may result in suspension of that post or account in keeping with relevant law, public interest, our contractual obligations, and the rights of expression and access to information of others. You may at any time lodge a complaint regarding the processing of your personal data by Nicky Alan Pyschic Medium with the Supervisory Authority of your EU member state.